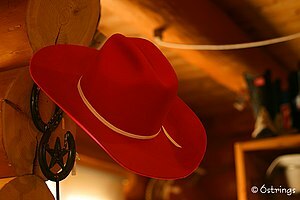 This entry was posted in Family, Grandparents, Light in the Darkness, Love, Mothers, Origins of Ourselves, Presence, Uncategorized and tagged Childhood, Cowboy, Cowboy hat, Family, Home, Mothers, Parenting, People, Photograph. With 6 grandchildren (2 of them boys), I read this with a smile and a few tears. You put it so well when you write, “It is different when you become a grandmother. We take time. We feel no obligation to get it right.” People always quip, “You love being a grandmother (Nonie) because you get to send them home at the end of the day.” It has nothing to do with sending them home. Being a Nonie is all about wanting the time to be a Nonie. To realize you should not rush through these precious moments. In a blink, they are gone…Thanks for your precious words. parenting struggles. Thank you for your thoughtful comments! It was such a special day for me. I never knew becoming a grandmother had a learning curve, just like mothering does. Thanks for reading it!